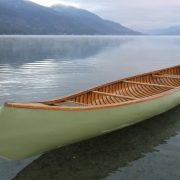 Built in Wendake, Quebec circa 1970. 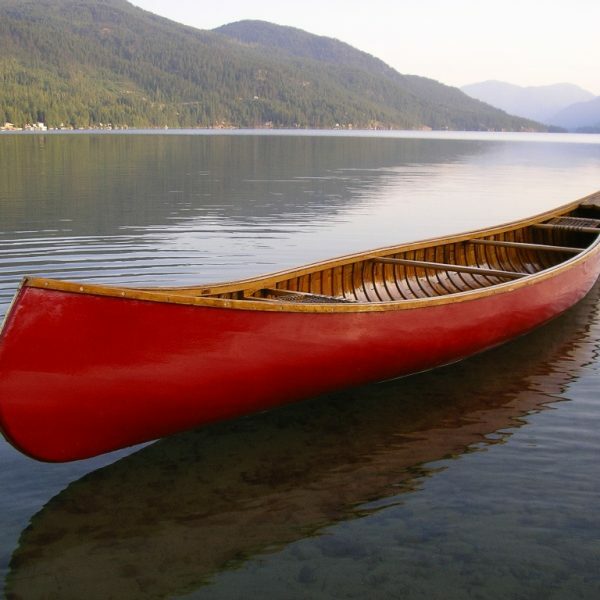 Many canoe builders were located in a small First Nations community just outside Quebec City, Quebec. 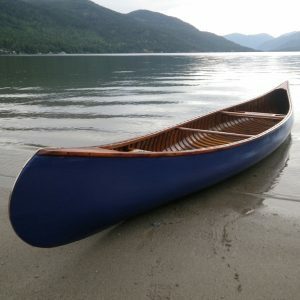 They built under their own names and also produced generic “Huron” canoes sold through the Sears catalogue in the 1960’s and 1970’s. 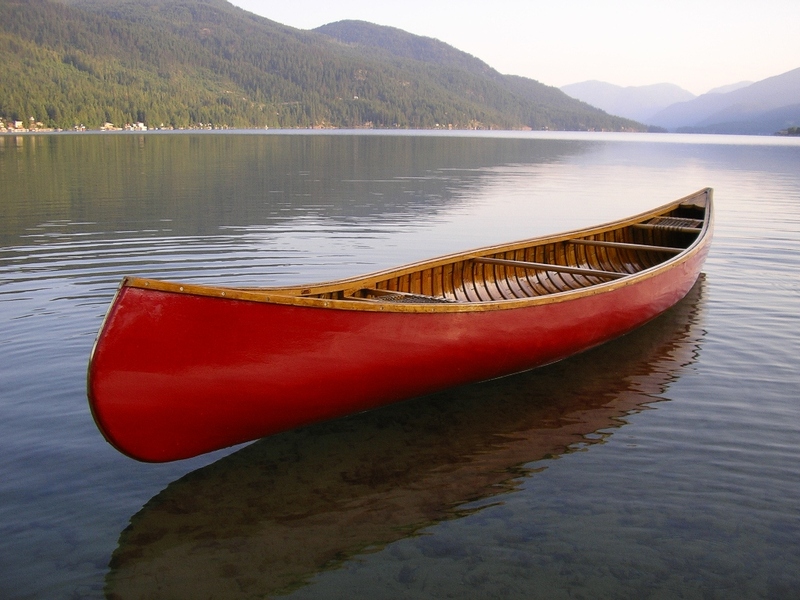 With a flat bottom and soft chines, this canoe paddles very easily. 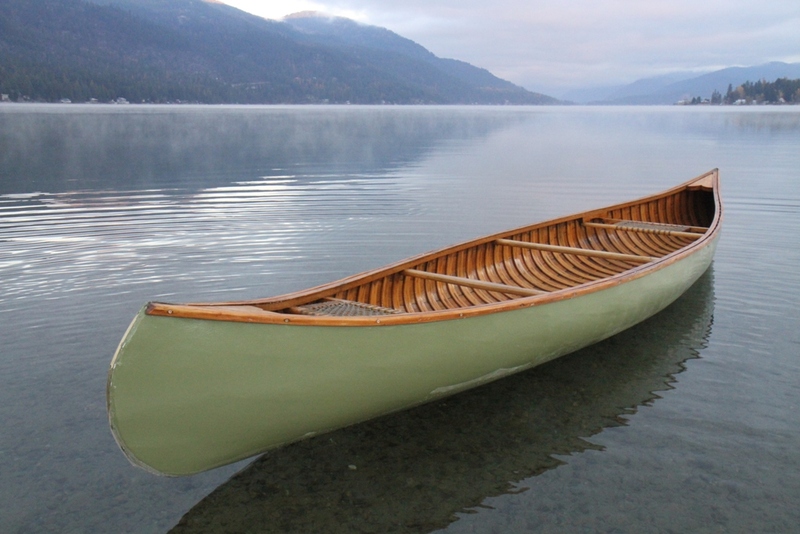 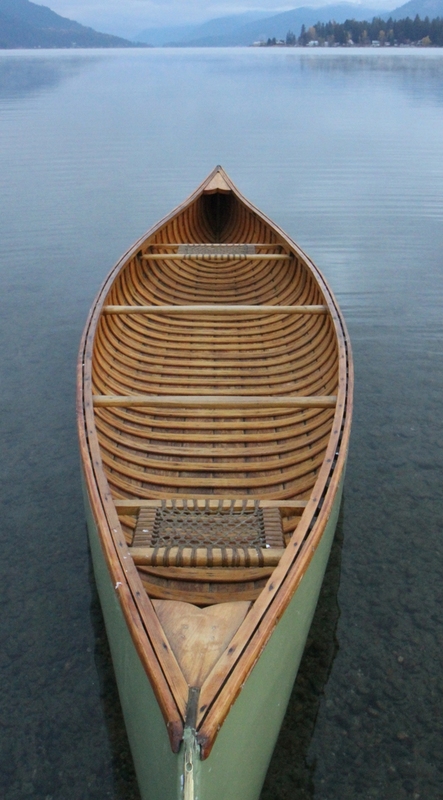 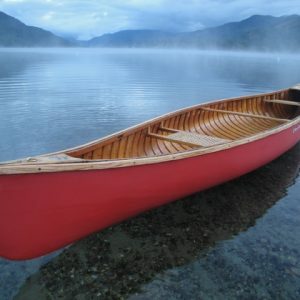 It is a great all-purpose canoe. 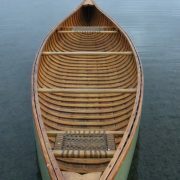 It has two seats with maple frames and laced with rawhide (‘babiche”).